I’m pregnant or breastfeeding. Is Glycolic Acid 7% Toning Solution safe for me? Glycolic acid is considered safe for use while pregnant or breastfeeding, but it’s best to check with your healthcare provider first. 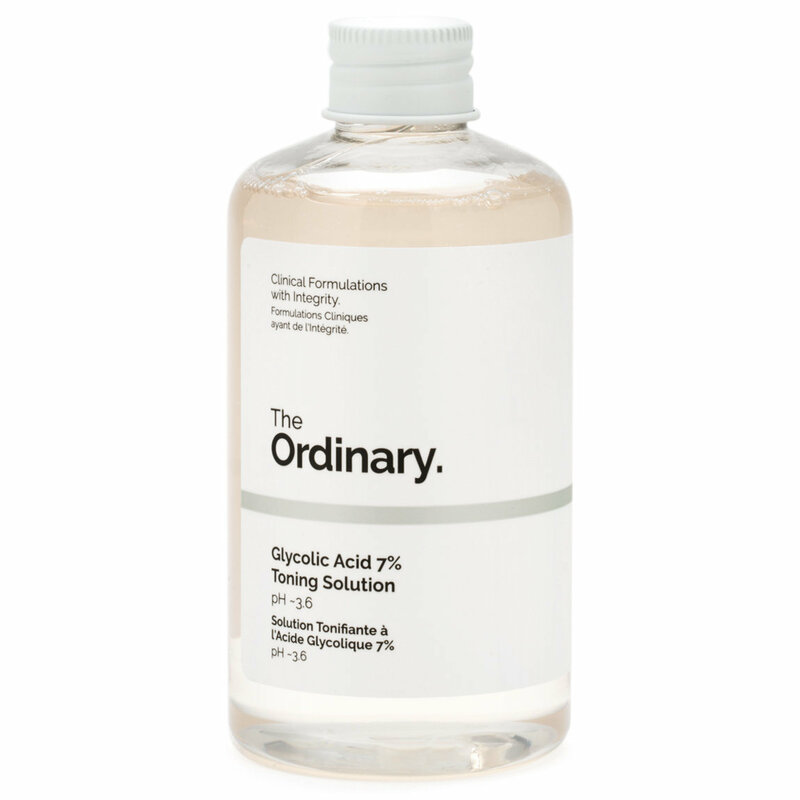 Can Glycolic Acid 7% Toning Solution be used as a toner? Yes. This product is a toner with exfoliating properties. Can I mix or layer Glycolic Acid 7% Toning Solution with other products? Yes. We recommend proceeding with caution if you choose to use it with products containing retinoids or alpha hydroxy acids, as this may cause irritation. 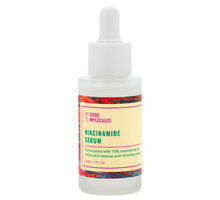 Can I use the Glycolic Acid 7% Toner along with retinoid serums? 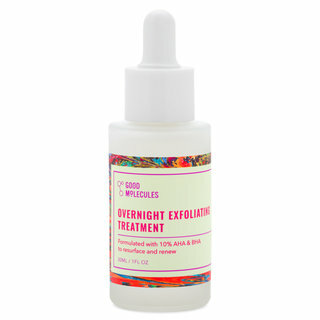 Yes, remember to alternate the days you're using acidic treatments and retinoid treatments to give the skin a rest. 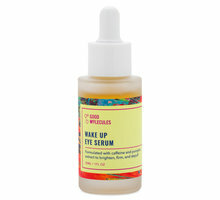 Can I apply Glycolic Acid 7% Toning Solution around my eyes? No. This product should not be used near the eye area. Can I use the Glycolic Acid 7% Toning Solution along with other lactic acids? It is safe to use different type of acids on the skin however, try not to overwhelm the skin with too many acidic treatments. If you're using a low amount of lactic acid in your other products, the glycolic toner might be good as an addition. 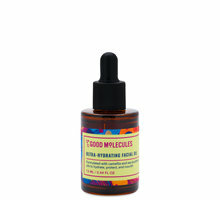 However, it's not advised to use high lactic acid amounts along with this glycolic toner. When was the last time you bought a product, for the face, that isn't a cleanser that contained this much product?! For this price! This is EVERYTHING. Correct pH. It exfoliates gently. Honestly, its perfect! I started acid toning about a year ago using/trying PC and Pixi, which both worked fine but really wanted to have something that wasn't ingredient overload in an early routine step, had no fragrance yet still had a good low pH. 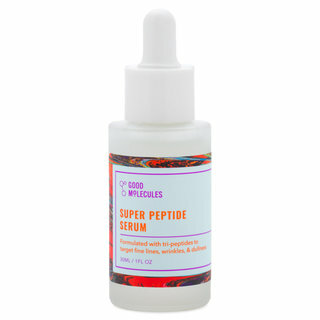 This glycolic acid at 7% is right on the money on all of those points, AND is a good price. The only downside is that I can't buy it in a nearby store like at Target (with the famous Pixi glow tonic). But considering that this is a lot more product with less cost, I think I can handle that shipping time offset. One thing that may not be obvious about the product as you see in the pictures, is that when you get the package, it comes with a nozzle that replaces the metal cap. The cap is there for just safety during shipping. You replace it with the nozzle. The nozzle, tightly in place, then has a second component that you twist open so you can easily disperse the toner onto a cotton swatch or your hands in a much more controlled manner. It's way nicer than the simple "cap over a hole" that you normally get with 90% of other toner/acid packages. It's actually making me consider shopping online for more of these nozzle caps to put on all my bottles. Everything Pixi's Glow Tonic should've been AND MORE. This stuff is probably the least "ordinary" thing from The Ordinary line. I mean that it is not just a one note product. Not only do you get an absolutely fantastic amount of Glycolic Acid, a huge size and I have a particular affinity to the clinical nature of the packing, the product itself goes above and beyond. A mix of glycolic acid, aloe vera, ginseng, Tasmanian pepperberry, a whole heap of amino acids, and damask rose water. It exfoliates, calms, hydrates, brightens, and does not irritate. One of my top 5 products from the line, it's incredible. I think that this is a product that every body needs in their routine. It will target everything that you currently think is wrong with your skin. I will repurchase this forever. After spending much of my youth scrubbing my skin off with apricot scrubs, I'm never looking back after using chemical exfoliators. I've been using this for about a month now, and I feel confident in saying that this is a great acid for the price! Sometimes I get a tingly sensation when applying it, but it never burns in a painful way. It feels much more gentler than using a scrub. I personally like using this in the morning, even though Deciem says to use it at night. 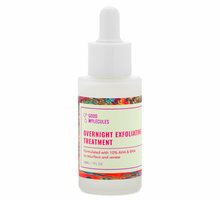 I use my retinols at night and do not want to mix two harsh products at the same time! So far I haven't experienced any bad reactions from using it in the AM, but I make sure to slather on 1/4 tsp of sunscreen every morning. I also like to wear a hat when it's extremely sunny outside. Please be careful with sun exposure when using this! I also like using it before masks to help the product penetrate more. I know some people have reported that this has dried out their skin. I naturally have dry skin, but this product hasn't made me drier. My skin does feel a bit tight right after applying it, but I make sure to use hydrating serums and moisturizer to help combat that tightness. If anything, my skin looks brighter and I've had less breakouts since I started using it. Also the nozzle it comes with is brilliant! I love how much control it gives me when I'm applying product to a cotton pad. It never causes me to spill too much product. Is it my favorite acid? Unfortunately no, Paula's Choice always has a special place in my heart. I find PC to be more smoothing and easier to apply. I personally haven't used Pixi's glow tonic before, so I can't compare, but this product is pretty darn good. I can't believe the value for the amount of product you get. 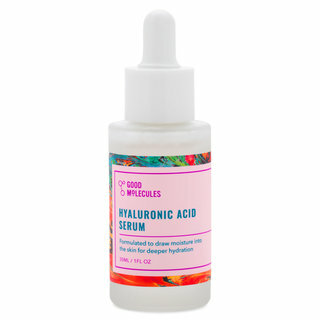 This is one best affordable acid I have tried and recommend it to anyone who is new to acids! I love this toner. It does its job. I love that it's gentle and has no scent. I credit it for getting rid of what I thought was a bump behind my ear when one day recently it 'burst'. It was a raised black head all the time. I credit me using this toner all down my neck (which I always do) as the cause for it bursting. I was amazed. I was quoted US$150 to have it removed and tested by a dermatologist. Not knowing all this time it was a simple blackhead. Purchased quite a few products from The Ordinary. It's been a week since I started using them, although I really wasn't sure which ones to use in conjunction with others I went ahead and purchased most of the line that beautylish has to offer. Most of them are serums for brightening and anti aging and of course the glycolic toner. I've created quite a cocktail morning and evening not knowing what to expect with using all 12 products that I bought. I'm exited to share that my skin already feels smoother and plumper. I was afraid that I was going to get a reaction of redness from the Vitamin C Suspension as it tingled for a while but it's all been great. Products purchased: Buffet, HAB5, AGsolution12%, Matrixyl HA, Advanced Retinol, Lactic Acid 10%, Magnesium AscrobylPhosphate 10%, Azelaic Acid 10%, Vitamin C Suspension and the Glycolic toner. These are working great together at least for me and who knows I might not need all of these but I wanted it all ! Thanks Beautylish for making these great products available to us! I would love to give this product a proper review. I can not get the cap off! Myself, and several of my friends have been trying to get into this bottle. The only way I'm going to get into it is to break the bottle some how. This is actually my second bottle. The first bottle is the same. I bought it again because I thought the cap being so tight was a fluke. Now I have 2 bottles sitting that I can not use. Its annoying. There is no reason for the caps to be THAT tight. 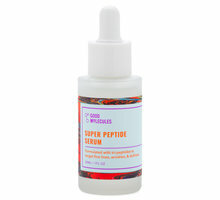 Very large product, it is very strong tingle that happens after product (normal for an AHA). The one problem i had was with the cap that came with it. It took 4 people and lots of elbow grease to get it off! It was ridiculous! I'll confess to being initially intimidated by the range of products offered by The Ordinary and not at all sure I was up to the task of figuring out a skincare plan to fit my needs. However, I need not have worried. Aided by the helpful information provided by Beautylish plus a bit of squinting at the products I was already using it was easy enough to find the cocktail I needed (only at much reduced prices) The glycolic toner though is a totally new add on for me, and a good one. I only use it once a day, usually at night. It's gentle but effective and I'm happy to have added it to my routine. I've just ordered a back up, it's that good!